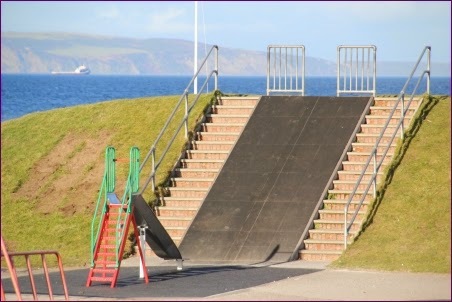 Any Gurnites with access to the Nairn when you were a Bairn facebook page will have seen the angry comments that have been expressed at the removal of the Big Slide from the play area on Nairn's Links. Some are incredulous, others asking where "consultation" comes in such a decision. A considerable amount of outrage has been expressed over on the popular NairnBairn facebook pages. "The big slide isn't coming back. There have been issues over its safety for a number of years and more recently the view has been to focus the paddling pool area for younger children and have equipment accordingly for them - with equipment for older kids over towards swimming pool. We have used discretionary budget and play budget over last couple of years to invest in equipment around Links and it is our intent to keep doing so." "There were safety issues with the slide and the roundabout. The new slide uses the base for the previous hill slide and although I have fond memories of the big slide it has seen it's day. Children's safety must come first. Nairn councillors were informed before Christmas of the dangerous condition and it was an operational matter to update the slide and roundabout"
What a shame!never mind kids you can go up to firhall and slide down the ramp!ptiorities a bit wrong don't you think??? The Old slide never seemed dangerous to me, nor the roundabout. I had no hesitation in letting my child use the equipment. Health and safety is trying to remove risk from life. The large slide was fun for all and I would like to know it what way it was considered dangerous. My youngster looked at the little slide with dismay, and after one go she played on something else. What is left now is a ramp for cycling / skateboarding down at high speed with a slide at the bottom to crash into, how is that safer? This appears to be a complete waste of tax payers money, that could have been better spent elsewhere. I demand that all trees in the area are cut down or fenced off immediately lest a child attempt to climb any of them and cause themselves a michief, and while we're at it, free cotton wool must be dispensed forthwith from the Service Point for parents to wrap their children in before leaving the house. Child safety must take priority after all. Someone, somewhere has 'spotted' health and safety issues with the old slide. Now, when are they going to 'spot' the health and safety issues with the area where the old slide used to be? Ridiculous, my grand kids of 3 and 7 loved the big slide, and never experienced any difficulties. Maybe the space could be replaced with a suitable climb up cargo net, to help build up their wee muscles. Never seen such bad design in my life. Kids will be running down the slope and either running into the small slide or into the kids playing on it. Why do they always get it so wrong? The public outrage is justified. As the various comments here and on other sites illustrate, there was no safety issue with the old equipment ..... but there are now serious problems of both design and layout with the newly installed items. The quoted comments from Cllrs Macaulay and MacDonald demonstrate that they are not just arrogant, in assuming they know best, but are also ignorant, misguided, or just plain stupid. Why was there no local public discussion? If we are stuck with such dim local Councillors as these, there is only one solution: get rid of them! If someone is stupid enough to cycle or skate down it then they deserve to crash onto the slide. Amazing. HC choose not to grit many roads this winter and yet decide to remove a children's slide that as far as I know has no safety issues or accidents? Maybe a poll/questionnaire should have been raised to get first hand feedback from regular users; parents and the children themselves. I can guarantee it would have been majority to keep it. Why couldn't the slide have been adapted/modified or replaced to suit health and safety without actually removing it for something you can buy from argos for your garden for your under 5!!!?? Maybe Councillor MacCaulay was so positive the slide isn't coming back as it's been recycled, painted purple and re-erected opposite the Farmers Showfield. Our so called councillors should have a hard look at themselves, utter disgrace, Does anyone know of anyones bairn being injured due to this dangerous slide or roundabout. As usual done on the QT, regardless of the community they serves opinions. Mind you won't have to go far to ask our councillors about it, they'll be the folk with their heads firmly in the sand on the beach. Just who are they "serving" ? Unbelievable. If I displayed such incompetence at work i would be sacked. So what happens in a family with older and younger children ? Playing in two separate areas with harassed Mum running between them. Absolute madness. Does nobody ever consult parents on these issues ? Why not just take everything away and then there's no chance of anyone having an accident or FUN ! Embarrassingly stupid, idiotic, counterproductive risk averse nonsense, my kids groaned at what had been done to their park, Ardesier's new park and the one at Brodie Castle will get our Summer money now. Living in Nairn and having to travel by car for decent kids parks, firework displays, toy shops etc very sad. As a parent with two young children and a former user of the big slide myself - I would concede that the brick and concrete steps leading up to the slide were in poor condition and have seen a few kiddies hurting themselves - not seriously - climbing up them - but leave the slide alone, just fix the steps ! The state of the play area/equipment in Nairn is very poor, High Life Highland should hang their heads in shame. Just take a day trip to somewhere like Arbroath, Crieff or Banff and see the kind of facilities we're missing out on. Closer to home, Inverness has 4 parks (Inshes, Kingsmills, Bellfield, Whin) with much better equipment. The Links is arguably Nairn's best tourist attraction, and this is supposedly a family resort/town. We need better play areas not just for the kids that live here, but for the town's economy, visitors with kids will not come otherwise. I would be interested to know how many people, if any have been injured due to the big slide. Has a claim been made against the council for an injury occurring from using the big slide and was this the real reason for removing it. Kids learn through making mistakes and taking some risks, occasionally they may get hurt but without the element of risk or danger how are future generations meant to learn their limits. The current situation is far more dangerous than the old slide. Can someone check the new cycle type ride? I think the metal ring that it runs of is marked with safety tar or glue stopping it working properly, the one at Whin park is smoother to pedal and faster. Unhappy Nairn kids. Brodie, Ardersier or Whin park are the places to go now. Councillors need to listen to the public and improve what we have not waste money on the whims of a few. What needs to happen now for the sake of complete transparency is for the details of the inspection report on the big slide and other material from the elf and safety mob to be put into the public domain by Nairn's fab four councillors! I was dismayed to see the Big Slide disappear. I played on it as a youngster 35 years ago and my small nieces play on it when they come up to visit. They will be disappointed to see it no longer there on their trip up this year. The small slide will be "boring" to them no doubt. The new slide also looks potty where it is, it just looks like it has been plonked there with no thought or planning. Spend it on getting the grotty high street sorted instead. 4 generations of our family have enjoyed the big slide.Can anyone disclose how much the repairs/renewal would cost? At flora, if you want to find out that information you can request it under Freedom of Information. What I would like to know is how my generation grew up healthy and active, no health and safety issues then. H&S gone mad!!!! In this day and age are councillors just unable to say No to officials? Is this something to do with it? Some interesting points in the later Gurn which included the inspection report. The risk was assessed as "Low". Two of the three potential problems were not with the slide itself but with the adjacent access: crumbling brick steps, and gaps in the handrail clamps. Both could have been easily (and inexpensively) fixed. The third problem, of split tubes down the sides of the slide, could also have been easily repaired or replaced. Have the Council no sense of "value for money", even in these times of tight budgets? I'd gladly make a donation to reinstate the big slide, if it's costs our councillors are concerned about. When I was there on Sunday older kids were flying down the 'old slide' on mountain bikes, dodging younger kids and their parents on the ground and 'braking' by going up the grassy bank at the edge of the cricket ground!!! Much more danger here than there ever was before! Reference your article,The Big Slide, a copy of the Independent assessor's report. The (unknown) official's comment, "We had an opportunity here via Capital funding to develop the site in accordance with Members vision and the community’s wishes by removing an old piece of equipment which had potential injury hazards attached to it, and replacing it with a new piece of equipment." It looks like someone isn't doing a great job of interpreting the community's wishes! Did they ask the community what they wished, or did they decide for them? 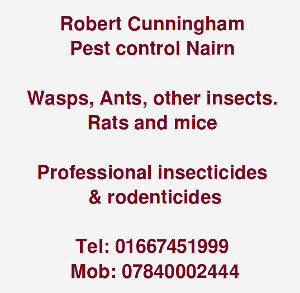 Just a wee reminder, there are four Councillors who are supposed to represent Nairn. Where are Messrs Green and Fraser? Have they nothing to say for themselves? 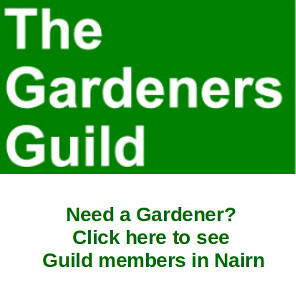 It appears to me that the Nairn councillors aren't keeping the electorate informed of what is happening in Nairn until they are questioned after the event has happened. The hazards are still there steps crumbling and railings. The split tubes could easily have been welded and ground smooth again it would have been far cheaper than a new slide which the bigger kids cant use. Councillors respond and represent your current and future voters, replace the big slide and position the wee slide in another location within the park and keep every one happy. If there is spare money available towards the end of the financial year this is possible to achieve. We need to take out the whole lot if sadly the slide isn't coming back or as previously mentioned a cargo net or something installed so children won't run/scoot/skateboard etc. down it. Definetly more dangerous now! Is Nairn the first council in the country to exercise dictatorship? Not one member of the public was consulted over our slide.I'm sure if the slide had a few problems (although that's not been proved) There are a lot of parents/people in the town who would have donated towards maintence!Time for a change of council urgently! My children are both very upset about this - I just can't understand why it has been done, especially if the risk was "low" according to the inspection. The new position of the smaller slide seems ridiculous and very ill-considered too. I am also very annoyed about the way play equipment is segregated at the Links - all the play equipment should be together so families can be together when they are out playing, looking out for each other and socialising together. I have witnessed bullying by older children at the equipment away from adult supervision, how does that encourage active play for older children? I am extremely disappointed and would like to know how the decision was made - who was involved and what effort was made to consult the people who actually use the play equipment. I just expected better from our councillors & hope they can admit they were wrong and reinstate the old slide immediately. If there was a bit of work needed on the much loved slide.why wasn't it closed off for a while whilst the towns folk had there say! It's more than likely the Council officals who made the decision and the Councillors went along with them, as usual. They all know what's best for us. Where is the slide now? I hope its not been destroyed.We demand it back!The big slide was ours not yours to take!How dare two councillors think they can make disitions,about something so prescouis to us,not as just a slide but the memories that go with it over years. So who will support SNP in the forthcoming elections if this is the way they run things at a local level? Why is the chance to vote for the slide to be returned,in small print at the top of the page? Because this observer doesn't have the coding skills to put it in a page and that is the default font for sidebar activity. At the top of the page it stays there for its duration regardless of what article a reader is browsing. hope that helps. You could always organise your own poll somewhere - it is possible on Facebook for example? What an eyesore this new structure by the swings is. What is its purpose? Many generations of Nairn kids played on the big shute and the roundabout with no parental supervision in my day from the late 1940s with no problems whatsoever, even my old dog loved going down the big shute. You cannot wrap kids in cotton wool. From a safety issue, a kid could easily down in the paddling pool even with supervision. I think common sense has gone out the window with this "thing". Maybe Fred Knowles , my Dad and others should not have alloed a bowling green at Viewfield in case someone got hit by a bowl! 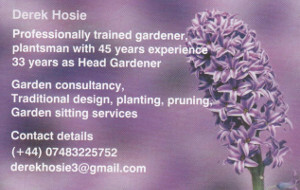 Were the dog rose and braaamble bushes removed in case someone got pricked by their thorns. In my day 1940s/1950s the Links area was a place of excitement as was "up the river". Straight down to the Links after school in all weathers, the healthy exercise and fresh air was more beneficial to us than today when many kids are plugged into computer games and the like. What is more harmful to kids? (if you were stupid), but lots of fun. Can you imagine kids being allowed on that nowadays. Well, it looks like the slide is definitely NOT going to be reinstated. I've just been down to the Links and there are council workmen dismantling all the handrails. They look to be there for a while due to the plethora of "safety" fences around the site. So despite the strong public reaction to this matter, the council just toddle along and do as they please, as usual. Also, as a matter of interest, how many people have you seen ever using the expensive new outdoor gym equipment? A vote of no confidence in this council,surely!Look at its record this year.Everything's been done wrong!Hello Mr Alexander! The only people I have seen using it are young children playing on it or teenage boys trying to impress their girlfriends. Another waste of money. Do any councillors have young children and can understand what is needed on the links? It would appear not! Surely what the cost of repairing the slide,would not have cost much more than its destruction! Well if Im going to have to take the kids to whinn park.Might as well do all my shopping in Inverness.Nairn has no attraction for us anymore. My parents brought me on holiday to Nairn and I'm now bringing my own kids. We've visited the park countless times over the decades and its a real shame that the "big slide" has fallen foul to the increasingly annoying health and safety brigade. Don't ever remember seeing anyone injured on it and is it really any more dangerous than other playground equipment ? If so, I'm sure it could have been altered but instead, a rather lacklustre replacement seems to be in place. Forres and Grant Park in future then? The big slide gone.The boring new slide is more dangerous surely.Little ones will run down the bank,smack into it. Noted councillors explanation about the area around the swimming pool being for younger kids.Well I'm a great granny and I've watched 4 generations of my nappy glad family take the "big slide challenge" (carefully supervised)no injuries!Just the look of "Yeah" I did it!Then run around to do it all again!how sad through the stupid HC we will never see that again. Once upon a time children tumbled over, grazed their knees - sometimes even had bruises and stitches. In the process they learned that the world is not a risk free place and a few bumps and lumps led them to treat it with respect. Let the kids stretch themselves and stop wrapping them in cotton wool... they will not thank you for it and I'm sure most parents won't either. Were our four local councillors representing the majority of the community who want the Big Slide retained? Or were two out of the four councillors towing the Highland Council line and repeating what unelected council employees have told them, while the other two councillors have kept their head down over this highly im motive issue? What happened to councillors elected by the community, working to represent the views of the community? And what does SNP council leader Drew Hendry have to say on this matter. He's got a young family. He's seeking election in the May elections as the local MP. Surely Drew would like to take this opportunity to represent the community of Nairn in this matter? Especially if he is hoping they will be voting for him in May. Come on elected officials. Stop hiding behind your desks and get out and represent the Nairn community as you have been elected and are salaried to do so. Wouldn't it be wonderful if our councillors admitted they had made a big mistake and said sorry? Gutted and incensed to hear the big old slide has been removed - what a nonsense! Happy to support petitioning the council on this, such a tragic day. Notice the council are not even responding!I agree that petitioning and protest should start. WHY start the heavy work on the old slide area during half term? Lorries and diggers feet away from the kids and parents trying to enjoy the playground today. No free speech in Nairn,my comments were not published either.Only if it suits the chiefs do the Indians have a say. Its unbelieverable! The townsfolk,are mortified! Totally against the majority vote.The council are just flaunting their powers. What about the cowboys, don't we get a say? How dare the council think they can change the actual fabric of the land now. Just crazy the cost of doing all that compared to small repairs. I had a look at what they've done and it appears the flattened area has bee strewn with grass seed. This was being eaten gleefully by the birds and had numerous footprints over it from marauding kids no doubt. I used to love climbing the steps of the slide and looking out over the sea from the elevated position it afforded. They've even taken away that small pleasure .